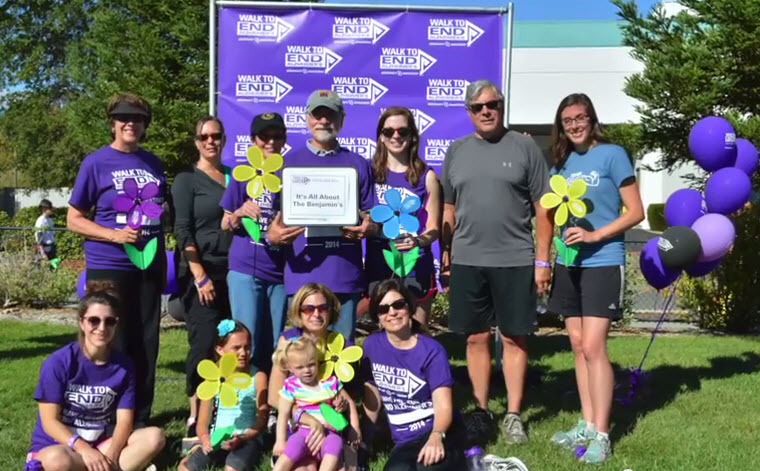 If you missed this year’s Petaluma Walk to End Alzheimer’s at #Petaluma’s Shollenberger Park after watching this video you may decide you want to be a part of next years event. We ran across this video produced and posted by Christine Drew Benjamin (Music by Ingrid Michaelson) covering this event and we are very impressed by it. The YouTube video below is called “It’s All About the Benjamin’s – THANK YOU!” and does a wonderful job of capturing the spirit of the event and sense of community coming together to help fight such a debilitating disease. Her father who was diagnosed with the disease in 2012 is also on the video as he does a short speech. Notable is the amount of money she helped sponsor for this event with thank you’s to all her donors are provided as credits at the end.